What an episode! WWE may not have hit it out of the park with every single segment this week, but they did enough to keep fans entertained, enthralled and hyped for WrestleMania 35. Again, not a perfect show by any means and far from it, but with The Boss N Hug connection, Lesnar backing down from Rollins in the opening segment and Corbin announcing who his last opponent would be, it was a pretty awesome night. 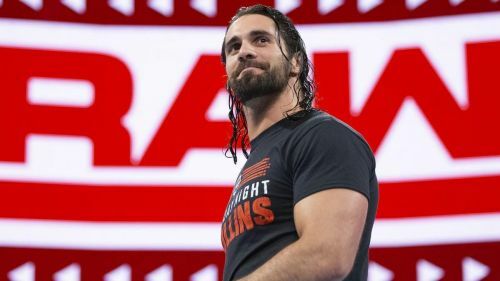 Beyond that, fans were also treated to Batista's side of the story on his feud with Triple H, a match between Ronda Rousey and Dana Brooke for Raw Women's title and one on one contest that featured Seth Rollins versus Drew McIntyre. If nothing else, it did everything to build up WrestleMania 35 as this larger than life event and is hopefully indicative of things to come. With that being said and another episode of Monday Night Raw behind us, here are four things WWE hinted at on Raw this week. As always be sure to let us know your thoughts in the comments below and to tell us what you think the company was hinting at doing this week. Will WWE turn Sasha Banks and Bayley heel at WrestleMania 35? There's something very different about The Boss N Hug connection! Not only is that evident by the more than cocky attitude they displayed during their segment with The Divas of Doom, but also by just how out of nowhere the whole thing was. Think about it! One minute the four women were soaking up the moment of a possible marquee WrestleMania match and the next minute Bayley is making age jokes? If nothing else, that is totally out of character for The Hugger and could be a sign that WWE is teasing a turn for the popular team. Of course, that's nothing new for Sasha Banks, especially since she has played the heel and face role to perfection throughout her career, this could be the first time Bayley's character ever really does. 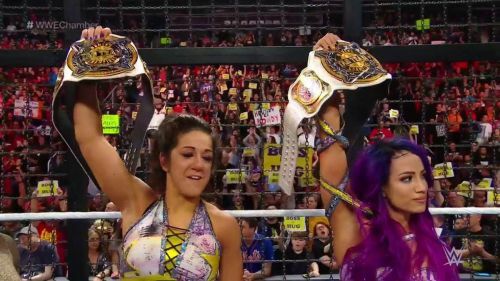 In the end, maybe expect The Boss and Hug Connection to lose the tag team titles to The Divas of Doom and then tease a handshake so Bayley and Sasha can cement the turn. At least that way, The Divas of Doom can finally win the tag team titles and The Boss n Hug connection can win back the titles later on after their shocking heel turn.